Each year, we provide financial support to local not-for-profit community organisations, groups and clubs for one-off projects and activities in Boroondara. Applications for the 2019-20 Annual Community Strengthening Grants open Monday 29 April 2019 and close Friday 31 May 2019. 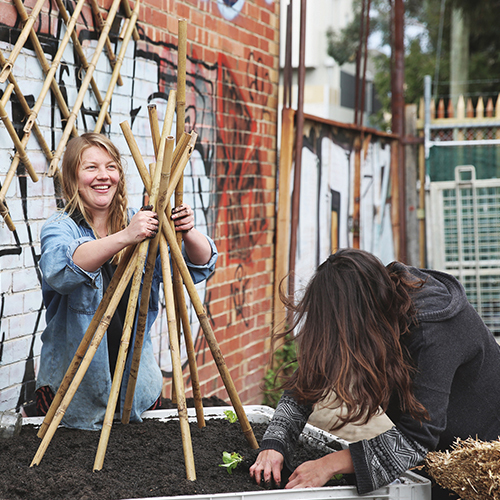 Up to $10,000 is available for projects or initiatives that address community needs, promote social inclusion and improve the health and wellbeing of Boroondara residents. In 2017-18 a total of 87 community projects received funding through our grants program. We provide information sessions and the One-on-One Grant Writing Help workshop to help you prepare your project idea and grant application. Council acknowledges the support of the Rotary Club of Balwyn, which donates a significant percentage of its net annual income from the Camberwell Sunday Market to the Annual Grants program. To find out more information about these opportunities and how to apply, visit Community strengthening grants or call the Community Planning and Development Department on 9278 4753. The grant was used to fund the intergenerational project, Mini Maestros, an inclusive music program. The project promoted health and wellbeing by encouraging participants to exercise through movement and develop social skills. It aimed to close the intergenerational gap connecting children and the elderly, and providing inclusion for non-verbal and culturally and linguistically diverse individuals. Michelle Hanning, Program Manager, said the grant has helped to connect young and older people. 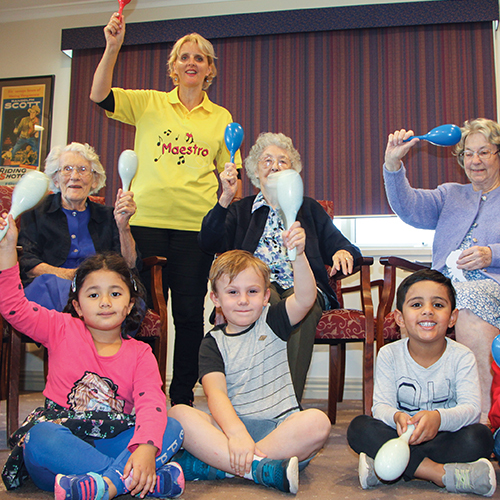 “The program encourages the residents and children to interact socially and develop their concentration skills, language, memories and emotions,” said Ms Hanning. The project was used to launch the Men’s Health project. 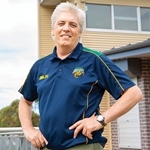 Paul Molloy, Deepdene Bears Club Vice-President said the aim of the project was to de-stigmatise mental health issues and to invite members to have personal discussions in a familiar and supportive environment. “The project was launched by former AFL champion and men’s mental health campaigner, Wayne Schwass,” said Mr Molloy. “We were keen to undertake the project for a long time but simply couldn’t fund the launch. A sustainability project was funded to increase awareness within the kindergarten community about issues relating to food waste, encourage sustainable living behaviours, teach children the importance of reducing waste, reduce compostable food waste to landfill and encourage local food production. Kathy Morris, Kindergarten Teacher and Centre Coordinator, said the grant truly enhances the kindergarten program. “We were really pleased to receive the City of Boroondara grant. It’s made a big difference to our kindergarten as we were able to use the grant to improve our existing garden beds and build two new planter boxes." "We also bought a worm farm and a rotating compost bin that we can use now, as well as in the future, to teach the children about sustainability,” said Ms Morris.